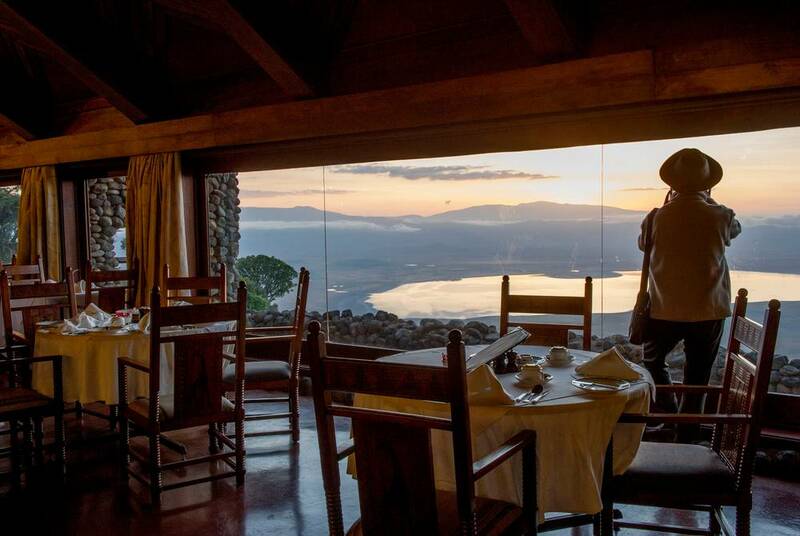 Set right on the 600-metre-high rim of the world’s largest volcanic crater, this Serena lodge hosts sweeping views of one of the world’s most impressive biospheres. Below, some 25,000 large mammals – from rhinos to lions – wander between plains, lakes and forests to form a real-life Jurassic park that’s often billed as the eighth wonder of the world. It’s all watched over by the crater’s towering walls, forming a natural boundary that makes for ideal wildlife viewing. Dressed in indigenous vines and built long and low from local river stone, the lodge does little to impact on this spectacular setting. Indeed, while it all makes for spectacular views, it’s entirely invisible from the crater floor. 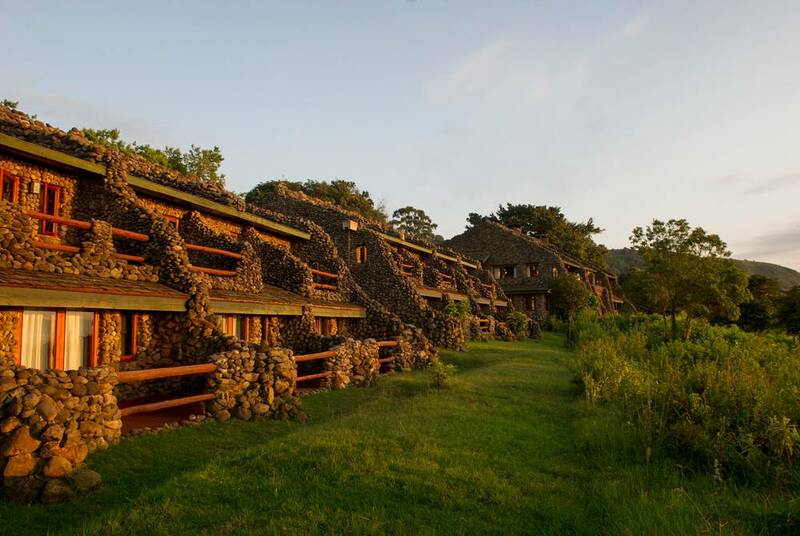 But, once you’ve discovered it, you’ll be treated to a maze of stone passages and timber decking inspired by the nearby Olduvai Gorge – the prehistoric ‘Cradle of Mankind’. 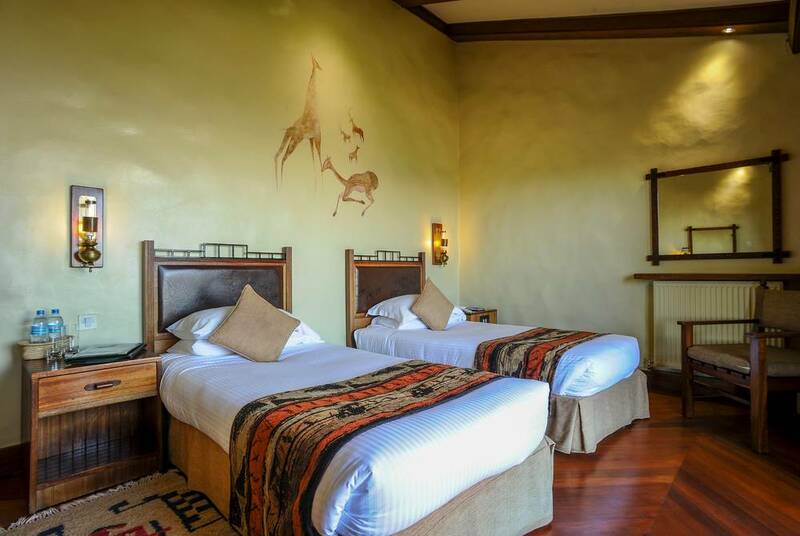 These evocative passageways lead to rock-enclosed rooms resplendent in wildwood mirrors, Maasai carvings and embossed leather headboards. Each enjoys uninterrupted views of the natural amphitheatre below from private balconies while, for some extra space, consider the Kimba Suite. The lodge’s delightful sense of considered style continues right into the rock-hewn dining room. Arranged around a central fireplace, cave paintings adorn the walls and stylised torches provide the atmospheric lighting. 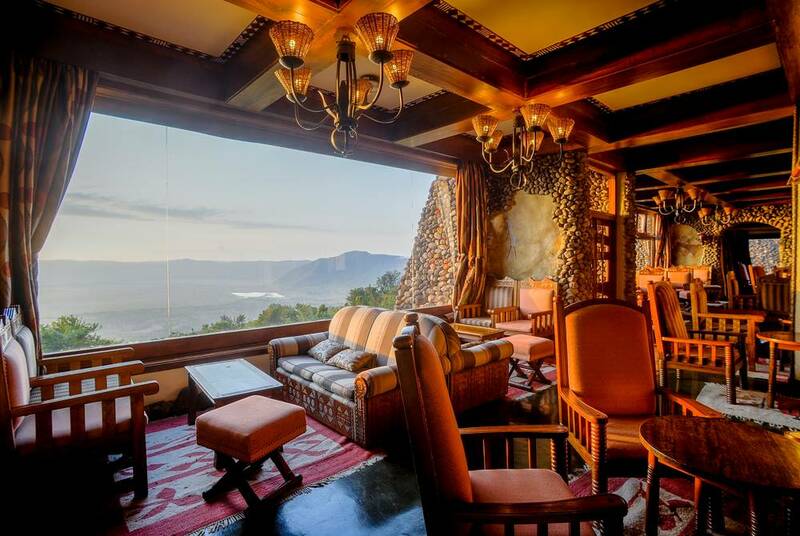 And, split across two levels, windowed walls look down on Ngorongoro’s ever-changing vistas – a view shared by the evocative, open-air terrace. It’s the backdrop for indulgent menus that showcase the best in local produce, with breakfast and lunch buffets capped with multi-course fine dining for dinner. Alongside the usual expert-led game drives, there’s also a full range of curated experiences on offer. Perhaps head out on a visit to a Maasai village and cattle market, or get to know the local culture with the nightly dance and theatre performances. 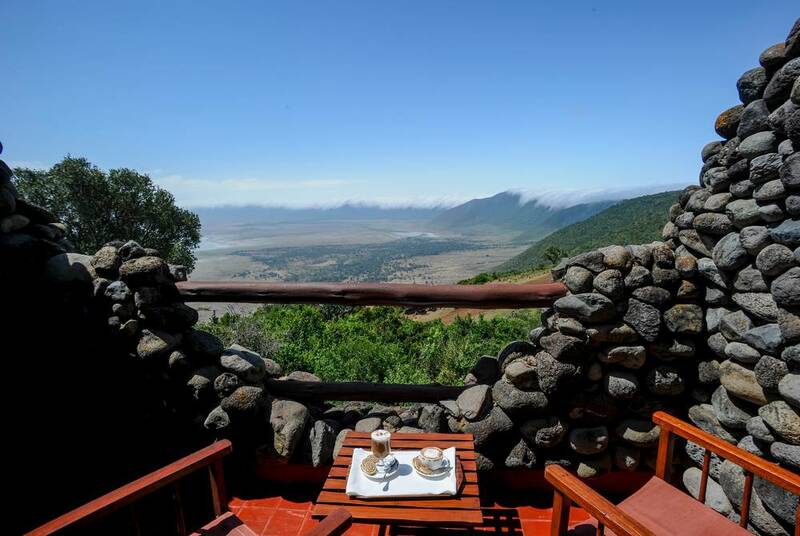 You’ll also be able to enjoy guided nature walks on the crater rim along with a spread of dining experiences. 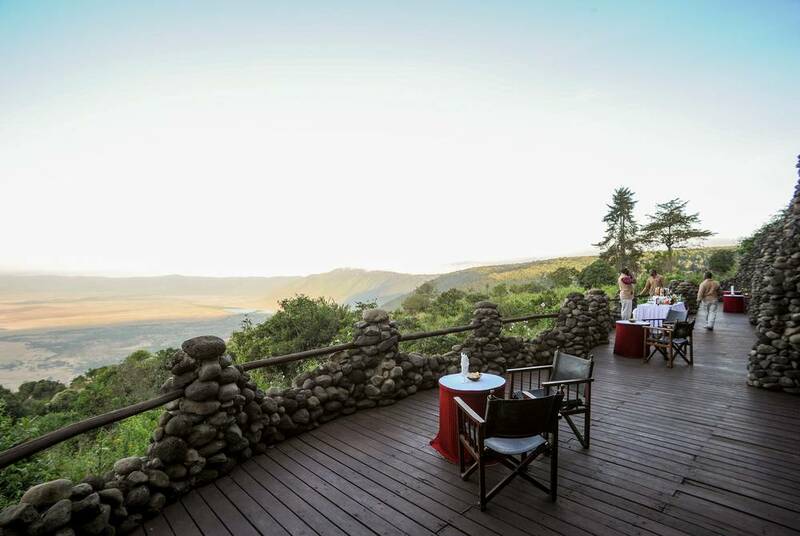 You can take your breakfast on the crater floor, return to rimtop sundowners, sip cocktails by the campfire and enjoy dinners right in the African bush.